As a CIBTAC Accredited Training Centre, MATA are pleased to offer the CIBTAC Level 4 Certificate in Laser and Light Therapy Treatments. This Ofqual approved qualification is available from our Harley Street location and nationwide, and gives you the knowledge and skills to deliver laser and light hair reduction and skin rejuvenation, safely and competently in salons, spas and clinics. .
Laser and light hair reduction and skin rejuvenation are effective, affordable and popular therapies, so there is a growing demand for competent practitioners. With a range of laser and intense light devices to suit all types of clinics and salons, laser and light therapies are great procedures to introduce and add to your existing list of treatments. This Level 4 qualification will prepare you to enter this exciting sector or enhance and deepen your existing knowledge, skills and practice, giving you the confidence to treat a range of conditions, on a range of skin types. Plus MATA can offer you the opportunity to progress to advanced Level 5 qualifications in laser and light based therapies once you complete this qualification. The CIBTAC Level 4 Certificate is a knowledge-based and practical qualification, giving you the theory and skills needed for safe and effective hair reduction and skin rejuvenation treatments, and preparing you to progress onto other treatments such as treatment of vascular lesions and benign pigmented lesions. MATAs CIBTAC approved tutors will guide and support you through this rewarding qualification using a range of teaching styles, demonstrations and activities to engage and involve you as you study and learn. You will have access to an on-line learning pack that supports the face-to-face sessions with our tutors. You will also have guidance on how to set up in aesthetic practice, what to look for when choosing laser/light devices and how to meet the local and national requirements for safe practice. How will the qualification be delivered? At each session will have a mixture of theory and practice, allowing you to build your knowledge and apply it under the expert guidance of our tutors, all in a safe and compliant laser facility. How will be you assessed? The CIBTAC Level Certificate is a theory and skills based qualification. This means you will take a written examination paper (multiple choice questions) and/or case studies to assess your knowledge, and an external examiner will observe you consulting and treating patients to assess your practical skills. We will never rush you to take examinations before you feel ready, and our experienced tutors will be there to support you throughout your study with us. Who is suitable for this CIBTAC Level 4 Certificate? In order to apply, all you need is a beauty or medical background, or beauty therapy experience. If you do not have this background, you may be required to complete a level 2/3 qualification in skincare before completing the Level 4 Qualification. This qualification is suitable for doctors, nurses and some other allied health care professionals, as well as beauty therapists with a Beauty NVQ Level 3 or similar. Following completion and passing of External Theory and Practical Exams you will be able to work in spas, beauty salons, aesthetics clinics or your own business. 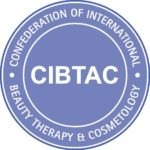 An internationally-recognised awarding body for the beauty and aesthetics sector, CIBTAC has a fantastic reputation for developing challenging and rewarding qualifications. As a CIBTAC trained therapist, you will be highly regarded and sought after because the qualification units are seen by employers has being the most appropriate for laser and light therapists. They offer both specialist training supported with other skills in communication, client care, skin assessment, health and safety. 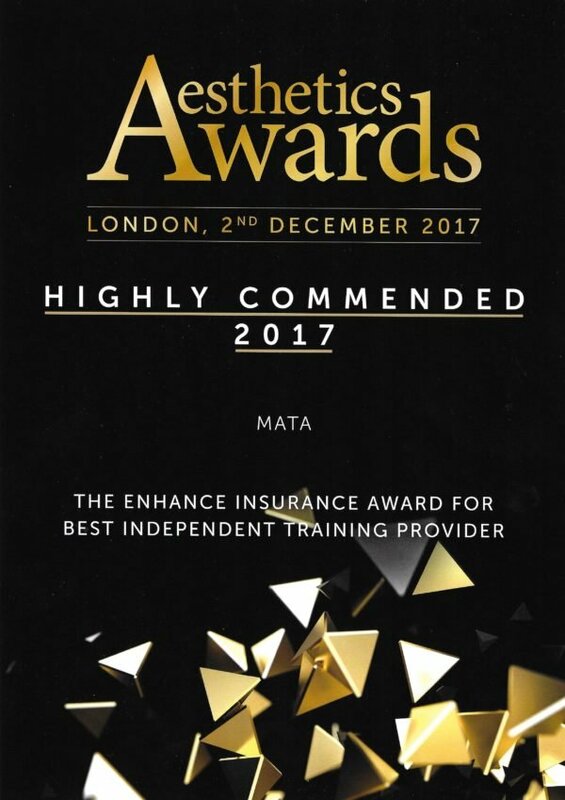 MATA training centres are fully equipped with a range of lasers and intense light devices- you will see the latest advances in technology and most importantly use a range of systems rather than just be trained on one machine, making your qualification so much more relevant, practical and valuable to employers. Our trainers are the best in the business, with many years of experience as treatment practitioners and educational tutors in aesthetic practice. We keep our class sizes small to ensure you get maximum individual attention and practical time treating our volunteer patients. 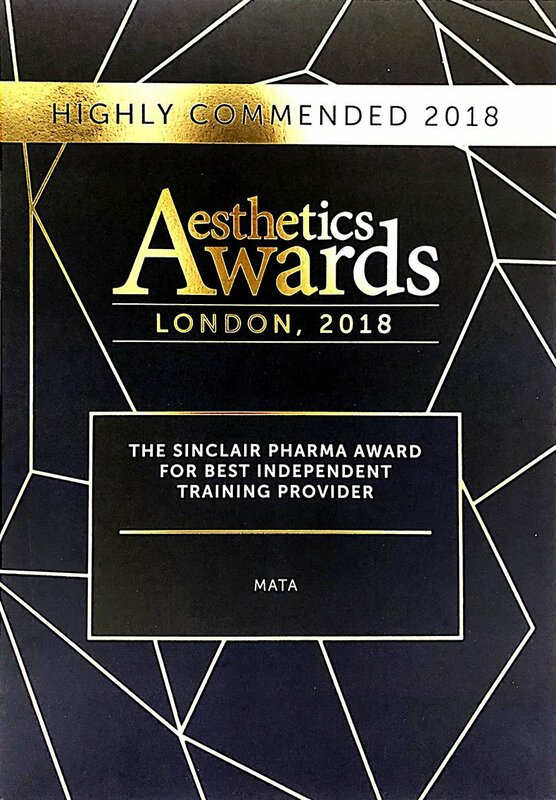 Plus, only MATA can offer you advanced Level 5 qualifications in laser and light based therapies including laser tattoo removal and treatment of vascular and pigmented lesions. All of our qualifications meet the standards set out by HEE, the Joint Council of Cosmetic Practitioners and insurance companies.